Students of all levels, styles, and backgrounds are welcome to attend. Day Sessions Students will take a brief audition at the registration to determine what level of classes and ensembles best suit your needs. It is not required that you read music. However, if you do, we would like to determine at what level you are able to read. You will be grouped into classes with students who share your stylistic preferences (rock, jazz, funk/fusion, R&B) and who match your current level of ability. 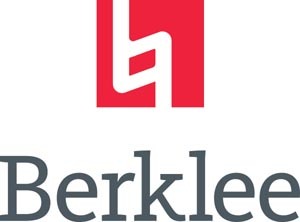 You must have a minimum of six months of experience with playing your instrument (or singing) to attend Berklee Day Sessions. Group lessons: take group lessons with other students who have similar ability on your child's chosen instrument (including voice) each day. Mixed ensembles: perform with a group of students in a variety of styles. Clinics: Attend clinics and master classes conducted by Berklee faculty and visiting artists. Ensemble performances: - All ensembles will perform in one of Berklee's performance venues at week's end. These performances are open to the public, so family and friends are invited to attend. The Day Sessions Young Performers Program instructors are faculty and alumni of Berklee College of Music. They represent musical and teaching excellence and have extensive knowledge and experience working with students in this age range. All of them bring the highest musical and educational standards to the classroom in an enjoyable and engaging environment that makes the Day Sessions Young Performers Program truly exceptional. Classes will generally be conducted between 8:00 a.m. and 3:00 p.m., Monday through Friday. Office Hours: Mon-Fri, 9:00 a.m. - 5:00 p.m.
We are located in the heart of Boston within a 2-minute walk from Hynes Convention Center T station (Green Line). Drop-off and pick-up locations and directions will be provided in greater detail when we receive your registration for the program.